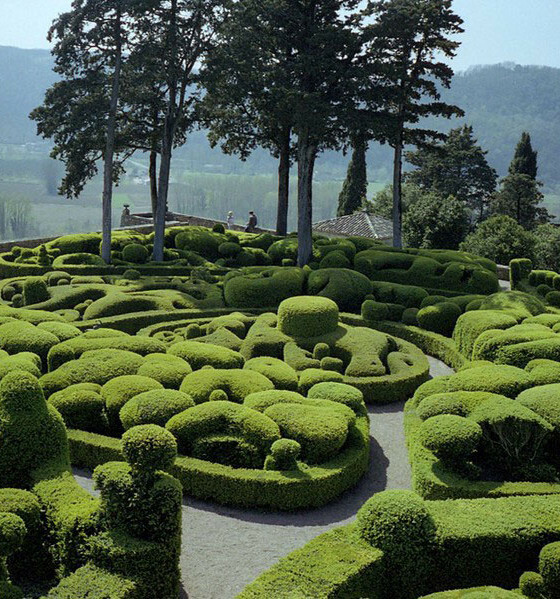 Geometrical Topiary turns gardens into works of art. The art of Topiary can come in many forms. One of the blossoming trends is geometrical topiary which uses geometrical shapes to accent gardens and yards. We find these shapes pleasing and a great use of bushes and trees. There are tons of examples from around the world. 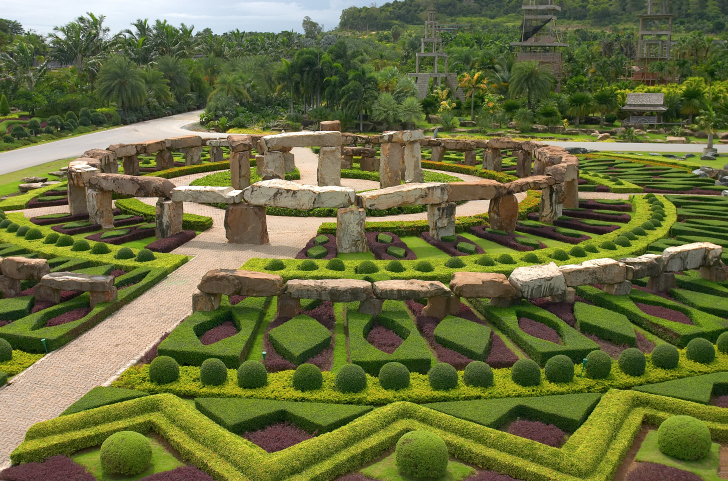 In the pic above the designer used a stone henge design with outer rings of geometrical shapes to bring your focus to the center of the garden. This place looks amazing and the hours it must have taken to build this must feel worth it when you look at it from this view. The stunning garden is something that anyone would love to have adorn their lawn. Located in Scotland this Topiary garden has been around since 1490 and is stunning to see. The garden is in the shape of St. Andrews cross and can be viewed from the tower on the grounds. Visitors can roam the grounds and and walk all the to the distant hillside.